Still Point Wellness collaborates with world-class instructors and organizations to bring innovative workshops to Asheville including courses on Esalen Massage, myofascial release, personal healing and meditation. Learn a repertoire of Esalen massage techniques and mindfulness practices to help your clients move through the trauma response so they can then enjoy the benefits of massage. Taught by Robin Fann-Costanzo. Experiential learning classes will enable students to develop a balance between technique, intuition, and creativity. Each day we will move through different areas of the body focusing on a variety of techniques to address muscle tension, body holding patterns, and injury. Our study of massage technique is augmented through applied anatomy, awareness practices, methods of self-care, and communication skills. This training is designed to be deeply transformational and will give you tools for awakening your senses and bringing more awareness to your massage practice and your life. It is for certified massage & bodywork practitioners wanting to deepen their bodywork practice and add the Esalen approach to their work. Robin Fann-Costanzo, LMBT#10171, RYT 500, Yoga Therapist has been working at the Esalen Institute and internationally since 1992 as an Esalen massage staff member, instructor, and registered yoga teacher. In addition to Esalen massage, Robin brings a lifetime of experienced as a trained dancer and has extensive training in craniosacral therapy, somatoemotional release, gestalt therapy, life coaching, and dance therapy. Her love for learning and teaching led her to collaborate in the development of Esalen teacher’s training program. Robin is featured in the Esalen massage DVD. She has developed continuing education programs taught at Esalen and offers classes in Asheville, NC where she currently resides with her husband and daughters. Robin is co-owner and bodywork director of Still Point Wellness. In 2012 at the World Massage Festival, Robin was honored for her years of dedication in the field of massage and bodywork, by being inducted into the World Massage Hall of Fame! Til Luchau has a diverse background that includes experience and contributions in fields like somatic psychology, structural integration, organizational and leadership development, and conflict resolution, Til's ability to connect interdisciplinary, big picture ideas to practical, real-world applications has made his trainings and events popular worldwide. Formerly a resident practitioner at the Esalen Institute, Chair of the Rolf Institute's Teacher Training Committee, and Adjunct Faculty member of Naropa University's Somatic Psychology Department, he has trained thousands of practitioners in his popular courses at schools and centers in over a dozen countries on five continents. 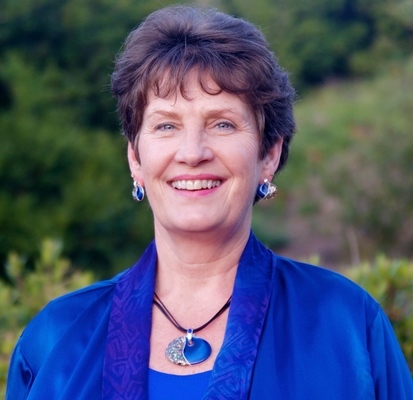 Suzanne Scurlock-Durana is one of the world’s leading authorities on conscious awareness and its transformational impact on the healing process. One of the original instructors personally mentored by the late Dr. John E. Upledger, Suzanne also continues to teach CranioSacral Therapy and SomatoEmotional Release for the Upledger Institute on nearly every continent. What’s more, she collaborated with the late Emilie Conrad for almost two decades. Together they integrated Emilie’s Continuum Movement with Suzanne’s Full Body Presence to teach other practitioners how to accelerate and deepen the healing process. She is the author of Reclaiming Your Body: Healing from Trauma and Awakening to Your Body’s Wisdom and Full-Body Presence: Learning to Listen to Your Body’s Wisdom. Ellen Watson is celebrating her 27th year on staff at Esalen Institute, where she studies, practices, and teaches various modalities of moving meditation practice. A licensed minister, Ellen believes that the core of all healing begins in the realm of the heart and the Spirit. Ellen is a teacher of Esalen® Massage, Gabrielle Roth's 5Rhythms™, Holotropic™ Breathwork, SpiritDance, The Art of Essential Touch, and Your Body is a Musical Instrument. From 1984 through 2003, Ellen developed and administered the Movement Arts Program at Esalen. In 1996, she founded MovingVentures™ School, a 501c3, whose mission is education in the somatic arts, focusing on women and men in developing countries, and the southern USA.